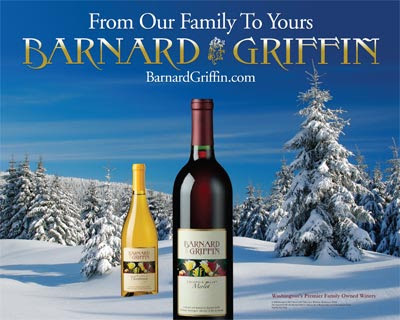 Design Hovie Studios has designed the 2010 Holiday material for Barnard Griffin Wines. This includes oversized in-store banners and back cards for stadium cut boxes. Look for the designs and Barnard Griffin wines at your favorite stores throughout the Holiday season.